decals. Great for Football, Basketball, Volleyball, Track etc. 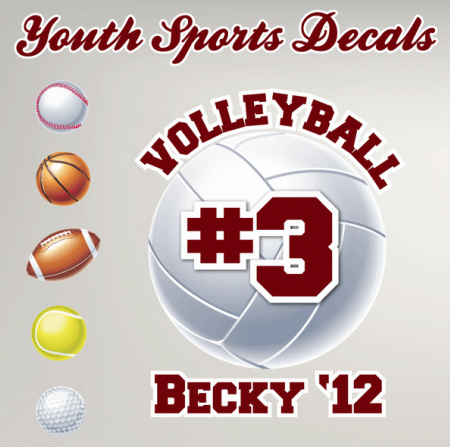 Standard sports decals are between 4’’-5’’ wide x 6’’-7’’ tall. and can be customized with a name and corrosponding Number. Submit your info and Team Roster for a custom quote or submit your info to order!